There’s a buzz on the internet these days. Many people are sharing visions of our upcoming transition into the fifth dimension. The common theme foretells of three waves washing over the planet. Although I believe that the prophesized waves are comprised of light rather than water, this calls to mind several visions I had in 2011. The first vision was of Atlantis. I was standing in a temple with Thoth, or Chiquetet Arlich Vomalites, as he was called during his time as an Atlantian Priest-King. We were looking through a jumbo-sized flat screen TV at Atlantian events. Suddenly, I found myself part of the vision, standing in a white A-frame temple and was dressed as a Priestess. Beside me was Thoth/Chiquetet, a High Priest. We were looking out a giant triangular-shaped window, and we appeared to be waiting for something. That’s when I spied it….a massive tsunami bearing down on us. This mountain of water dwarfed the entire landscape and obliterated the horizon. It was swiftly advancing, leaving nothing in its wake but ocean. As the wall of water approached, I was understandably filled with enormous fear. But, beneath that visceral response, laid an odd sense relief. It was as though I was happy to not have to wait any longer. Intuitively, I knew this flood had been foreseen centuries beforehand. I also knew preparations had been made for this event, and so my heart was at peace. As stillness overcame my fear Thoth/ Chiquetet and I looked at each other and said, “It’s time”. Seconds before the giant wave reached us I closed my eyes and felt my body fall into a deep sleep. As my body was crumpling down, my soul ascended. I watched from above as the wave washed over the temple. I turned to see Thoth’s soul beside me, smiling beatifically. Neither of us was harmed. In fact, we both felt such elation and joy…and freedom. The next vision occurred while I was meditating inside the tiny space of my heart. I found myself laying in a sarcophagus inside the King’s Chamber of the Great Pyramid at Giza. Thoth was there again, this time performing a sacred ceremony on me. He anointed me with a combination of bergamot, rose, salt and crystals, drawing symbols with the oils above my third eye. Following the ceremony, another huge viewing screen appeared. I watched in fascination as a wall of water again advanced on Atlantis, submerging everything and everyone under an ocean of water. However, unlike the first vision, this vision ended abruptly with an explosion of Big Bang proportions which totally obliterated the universe in blinding light. I watched in disbelief a second time as Thoth replayed the scene. When I had these visions five years ago, I was unaware of their full meaning. What the relationship was between the two visions puzzled me. Initially, I thought I was seeing into the distant past, or perhaps a parallel timeline. Then the idea struck me that the two visions represented the two possible paths for humanity as depicted on the Hopi Prophecy Rock. I knew that latter interpretation was closer to the truth, and so I continued to meditate on the answer. That’s when the answers came to me. There is a parallel between us and the ancient Atlanteans. The last time humanity had the opportunity to ascend was during the last seeding of Atlantis. Something interfered with the last ascension attempt, and instead of raising their vibration, Atlanteans suffered a dramatic fall in consciousness. The souls who were in Atlantis are back in human form today, and are preparing for what will be a successful ascension. Death is a form of ascension. The soul knows when to leave the body so that the transition is as peaceful as possible. Outside forces (i.e. 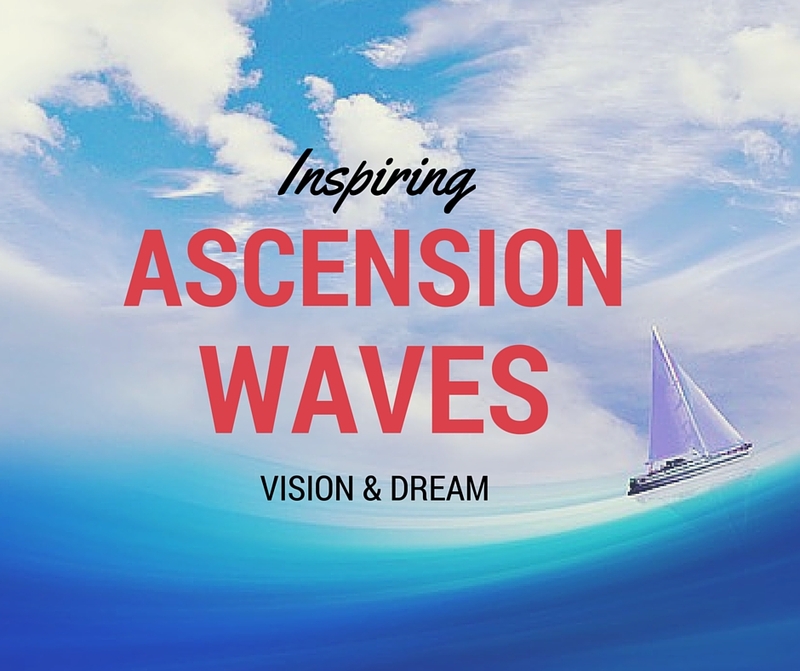 giant waves) are often catalysts for ascension. Rather than being threatened with world-ending flooding, we are being hit by massive galactic waves of light that are wiping away the old world and helping to create the new one. These waves originated in the center of Creation, and are emanations from the Central Sun. All life everywhere is receiving a huge energetic upgrade. The explosion represents the speedy return of light – higher knowledge and abilities – throughout the universe. There is no place as ‘in the dark’ as Earth, so when the awakening hits its highest point, the influx of light will appear, metaphorically or perhaps literally, as an explosion of light. There may be global changes or events which initially look frightening, but they are catalysts for our glorious transformation. Our 3D existence will end in an explosion of light or, rather, enlightenment and the rapid-fire expansion of collective consciousness. Last night I had a dream of conception. I saw a sperm enter an egg, and what followed was a blinding flash of light. When I awoke, I remembered reading about researchers capturing this amazing light display on film. What this showed me was that new life begins with a flash of light. We are on the precipice of a miraculous transformation. That blinding flash of light that Thoth showed me is the birth of a new 5D humanity.